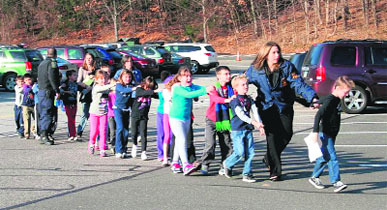 At least 27 persons, including 18 children, were killed on Friday when a shooter opened fire at an elementary school in Newtown, Connecticut, officials said. The principal and school psychologist were among those dead in one of the worst mass shootings in US history. 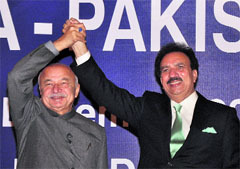 Pakistan Interior Minister Rehman Malik began his three-day visit to India on Friday with a reference to the demolition of Babri Masjid. In an effort that is expected to increase people-to-people contact and allow easier travel for pilgrims, tourists and business travellers, India and Pakistan today operationalised a new liberalised visa regime, making a departure from the restrictive visa regime under the earlier agreement inked in 1974. Ahead of the scheduled roll-out of the ambitious direct cash transfer scheme from January 1, the Prime Minister�s Office (PMO) today directed all ministries to gear up for the event by ensuring swifter enrolment under the Aadhaar scheme. After digging deep into the mining activity in Punjab, the Punjab and Haryana High Court today gave the go-ahead to the auction of mines in five districts � Hoshiarpur, Jalandhar, Ropar, Mohali and Nawanshahr � but not before passing strictures on the government. Visibly annoyed, the Bench admonished the government for issuing statements that mining activity in the state had been stayed by the high court. The Punjab and Haryana High Court has awarded �social punishment� for a �fraud� committed by a doctor. It has asked the doctor to �re-compensate� the society he �deceived� by paying Rs 5 lakh for buying medicines for the poor.